Craiova ([kraˈjova]), Romania's 6th largest city and capital of Dolj County, is situated near the east bank of the river Jiu in central Oltenia. It is a longstanding political center, and is located at approximately equal distances from the Southern Carpathians (north) and the River Danube (south). 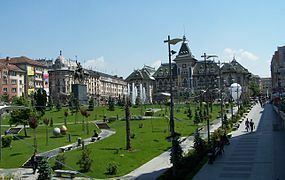 Craiova is the chief commercial city west of Bucharest and the most important city of Oltenia. The city prospered as a regional trading centre despite an earthquake in 1790, a plague in 1795, and a Turkish assault in 1802 during which it was burned. 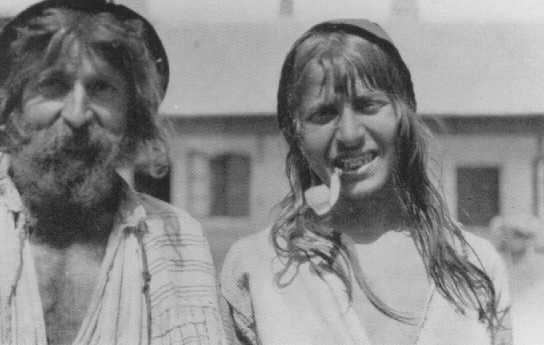 In the first two decades of the 19th century Craiova was characterized by economical growth, multiplication of its inhabitants' preoccupations in the areas of trade, commerce, and public services. In comparison with other great urban centers, Craiova is situated as a commercial, administrative and cultural knot of prime order. Craiova Art Museum – the building that houses the museum was built in 1896, following the plans of the French architect Paul Gotereau. Its main attraction is the art gallery dedicated to Constantin Brâncuși, exhibiting six of his early sculptures (including variants of his best-known works): The Kiss (1907), Vitellius (1898), Woman Torso (1909), The Vainglory (1905), Boy's Head (1906), Miss Pogany (1902). It also has a variety of paintings by leading Romanian masters such as: Theodor Aman, Nicolae Grigorescu, Vasile Popescu, Stefan Luchian, and Theodor Pallady, as well as some Romanian icons.